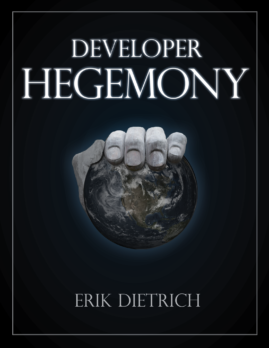 I can now proudly say that I have finished the initial draft of Developer Hegemony. Currently, it weighs in at a robust 376 pages that contain my blood, sweat, and tears. Digitally speaking, anyway. I haven’t yet published the preview of it because I want to give the people I interviewed a chance to peruse the draft before I make their words available. But I promise that you’ll have a chance to read in its entirety soon. I have a lot more coming on that front as well, including the announcement of a launch date, so stay tuned. I mention completing the book because this should leave me with more time and material to post here on DaedTech. I’ve mostly cross posted from the other blogs I write for of late, but look for an uptick in posts here. Alongside that change, I’m going to be shuffling some other things around in my life as well, and changing my focus somewhat in the coming months. I’ll get to all of this later, but for now, suffice it to say that I plan to post more about the suboptimal current state of the corporate entity and what I believe we can do about it. And, I’ll start that tonight, with a theme that I wanted to address but didn’t fit particularly well in the book itself. I’m talking about all of the ways that the corporation has come to simulate a sort of parental/teacher hybrid for adults. I understand the how, to some degree. I think, anyway. Pyramid shaped corporations (the standard corporate structure) have a knack for becoming less than the sum of their parts. You can get buy with common sense up to a certain level of scale, and then finally you get some weirdo that likes to clip his fingernails next to the coffee machine no matter how much anyone asks him not to. Then, bam. You’ve got a sign next to your coffee machine exhorting people not to clip their fingernails, and your whole company looks ridiculous. I think that organizational childishness tends to scale more than linearly with the average marginal childishness of individuals hired. The bigger you get, the more your collective adulthood escapes. Still, though, it’s amazing we don’t blink more often and scratch our head at the state of things. As a teenager, I remember coming to school wearing ratty jeans and T-shirts of bands that I liked. You could do things like that at the public high school. I think you just couldn’t wear shirts with swears on them and expose yourself. I don’t really ever remember running afoul of the dress code. As a consultant, the work dress code frequently occupies my thoughts. I visit a lot of companies, so I ask what I should wear quite frequently. When in Rome and all that. We have many ways to talk about what you’re allowed to wear to the office. Formal, smart casual, dressy casual, business casual, smart business, casual, etc. I’m probably leaving out a few, including places that simply make you wear uniforms. The rules for how you dress as an adult in the corporate world have many more complexities than when you were in school. I guess you outgrow being trusted to wear what made sense for the occasion. I remember that school came with both excused and the dreaded unexcused absences. Excused absences presented no real issue for you. If you got sick, your parent could “call you in” and the same kind of thing happened for a family vacation and the like. But if you simply blew off sixth period to hang out with the burnout crowd, you flirted with docked grades and detention. That, the unauthorized absence, was serious business. Of course, then you grow up and everything is different. You’re an adult, coming and going as you please, and on one can tell you what to do. Except, of course, for your boss. It goes without saying that you need to obtain her permission to be absent, lest your absence be unauthorized. If it smells fishy, you may need to bring a doctor’s note. But then, of course, you can go home and totally do whatever you want there. This one, actually, never happened to me in high school. But doesn’t that seem like a likely place for it? Right smack in the middle of children’s rebellious years definitely seems like the perfect time to check for them on the straight and narrow. And yet, high schools extend this level of trust. Not so much in the corporate world. I didn’t suffer the “guilty until proven innocent” treatment until I started to land corporate jobs. Don’t get me wrong on this. I support the right of corporate entities to make this a precondition for employment. But doesn’t it seem just a touch infantilizing? Another rite of passage for the high school experience came in the form of SAT and ACT tests and prep. For those not in the US, SAT/ACT are standardized tests used by colleges to determine suitability. Of course, your college admission also included writing some essays, listing what clubs and sports you’d joined, and even, in some cases, doing interviews. Then you grow up, and do basically the same stuff when you’re applying for jobs. A panel of people convenes, discusses you, your performance, and your appearance on paper, and then makes a wise and just ruling on your suitability. Four times per year and twice per semester, I took home a report card from high school. I can still picture this, since I’m old enough to have toted home paper report cards. They came hot off the presses of some dot matrix printer with the perforated strips still on the side. I’d tear those off and bring home the grades. 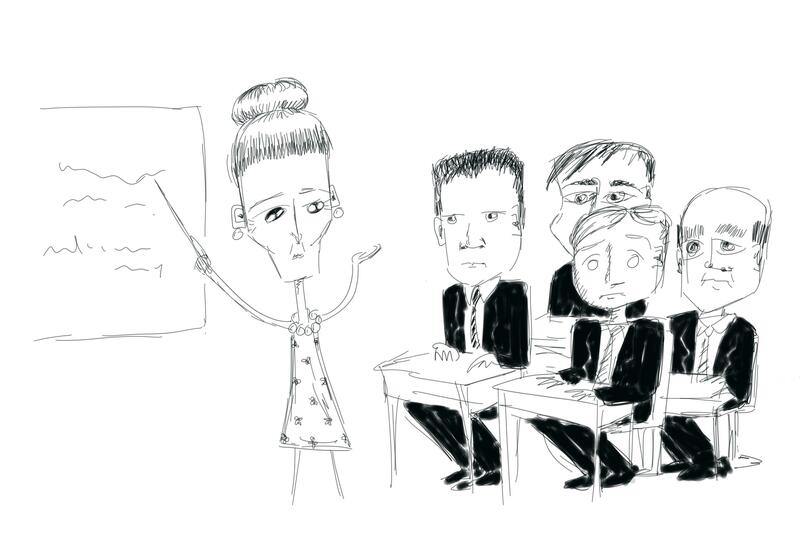 As adults, we typically have something similar in the form of the corporate performance review. Often, these come once per quarter, but of course, they’re a lot more grown up. Instead of A, B, C, D and F, adults get “Exceeds Expectations,” “Exceeds Most Expectations,” “Meets Expectations,” “Meets Most Expectations,” and “Needs Improvement.” Totally different — way more letters. Where am I going with this? As I said, nowhere in particular. I’m indulging in some musing and enjoying the free form writing that I used to do a lot more of on this blog. If there is a message to take away, I’d say it’s this. The corporate workplace has managed to create a remarkably infantilizing atmosphere. We tend not to perceive it this way because of its ubiquity. If you’re in a position of any leadership whatsoever in your organization, do what you can to restore adulthood, sanity, common sense, and trust to the people you lead. It may not seem like it, but I promise you that, on a long timeline, it will prove a competitive advantage. Wow, stuff in that thread and the general subject of conflating presence with work could send me on a multi-post rant bender. But the comment you cited is definitely appropos. LCD is inversely proportional to headcount scale, which is why I’ve had a natural aversion to working at large companies as an employee. That’s an angle I hadn’t considered — the coincidence of being promoted to manager at the same time as having small children. And I definitely agree about being treated like a child prompting you to act like one. It’s similar to the way that overbearing micromanagers create learned helplessness and malicious compliance. Thanks for the link. I’m pretty sure I recall reading that once, some years back, but it’s certainly been a while. Very interesting reading. https://itsyourturnblog.com/lets-stop-calling-them-soft-skills-9cc27ec09ecb#.3wmq19984 Here’s another, on similar vein – albeit to announce a course. Interesting piece. I recall seeing that a few days back and starting to read before getting pulled into something. I’d been meaning to go back. Excellent observations, all. In a consultative capacity, I often find a complex web of band-aids that each make sense in a vacuum, but serve to create a crippling state of affairs for the organization. I think in a human behavior/learning lens, a lot of the issues you point out could be related to over-use of negative reinforcement as a means to teach employees “correct” behaviors. I’m definitely inclined to agree with that. It seems a lot easier in corporate contexts to figure out what people want to avoid than to figure out what motivates them and how to provide that. What if technology and an entrepreneurial mindset can enable the disintegration of large corporations into small and medium sized businesses? Thereby employment will be an ephemeral phase in the career of an individual which lasts for barely a few years after he or she graduates school. The employer-employee relationship will eventually give way to business-business relationship. Am i just fantasizing or is such a thing even possible? I think that’s where things are generally headed in tech. Large, successful tech companies usually seem to stay on top by decentralizing and running as a loose collection of programs/products/whatever. For companies whose products are mainly digital, economies of scale don’t provide benefit — just cost. As a parent of grade school children, I note the similarity of corporate reviews to my kids’ early pre-grade letter era: needs improvement, satisfactory, excellent. Their cards tend to have N, S and E letters in the years before the ABCDF letters are instituted. This engineer’s kids get E’s on academics and N’s in social and gym sections of their report cards. Heh. Now that you mention it, I do vaguely remember grading systems like that — ones that pre-dated the traditional letter grades. Perf reviews do have that sort of feel to them.